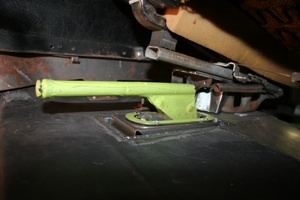 This article will show you how to relocate the emergency foot brake from the kick panel to in front of the driver´s seat. 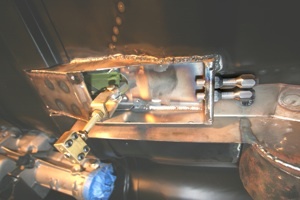 We chose a floor mounted E-brake unit from Lokar Manufacturing for this project. 1. 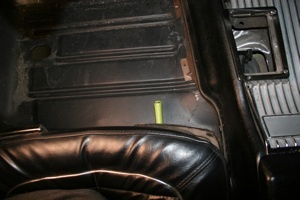 There was no room in the center console or under the dash so we decided to put it in front of the driver´s seat. 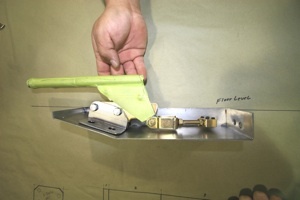 In addition, we will lower it into the floor for more clearance and better access in an emergency situation. 2. 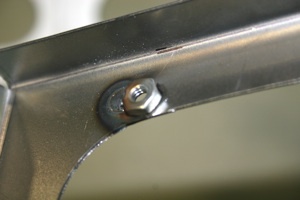 First we taped the handle to keep from scratching the chrome and then we cut off a small tab from the rear of the bracket to provide enough clearance for the bezel retainer bracket we will be making. 3. 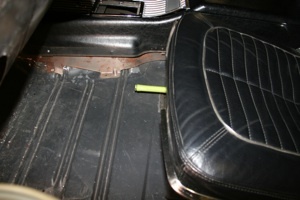 Next we built a tray to let us drop the unit into the floor and clear the seat track. 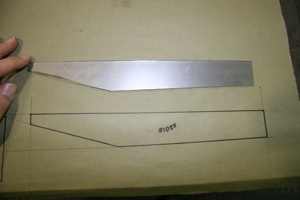 As with any fabrication, we laid out a pattern and in this case cut out the two pieces we needed from 20 gauge stainless steel for the sides. 4. 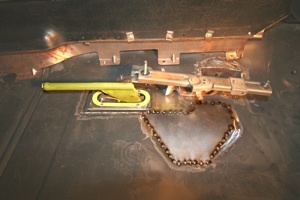 Then we cut out the bottom and welded the pieces together. 5. 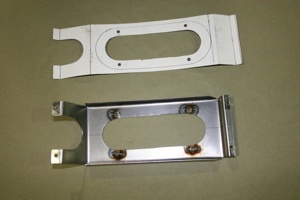 These braces will be used to attach the emergency brake unit to the bottom of the tray. 6. Starting with another pattern, we made a bezel to fit over the brake handle and provide room for the dyna mat sound deadener and carpet. 7. 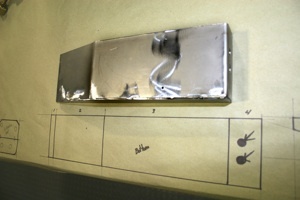 We tack welded some 10-24 nuts to the back side of the bezel. 8. Here is a view of the other side. 9. 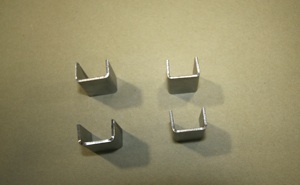 As you see here, the brackets allow the unit to sit in the tray level to the floor, with plenty of room for a hand. 10. 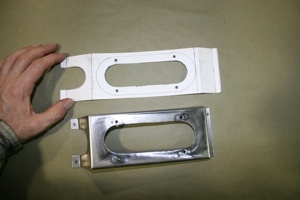 This view shows the bezel retainer bracket in place and the cable attachment block. Now you can see that we snipped the end off of the factory bracket in step #2 to clear the bezel when in the upright position. 11. This angle shows the bezel from the side. 12. 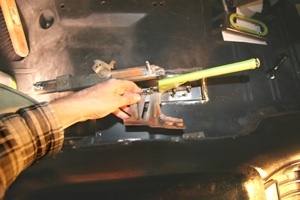 Here we cut off the seat track bracket and then cut a hole in the floor the size of the tray. 13. 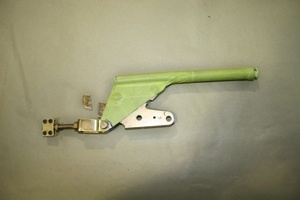 Here we removed the seat to assure that the track would clear the brake handle. The bracket at the top is for the center console. 14. 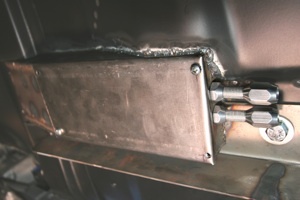 We had to move the factory seat track bracket slightly to clear the tray, so we simply added some metal to the top and sides to gain the necessary clearance. 15. This view shows the clearance. 16. 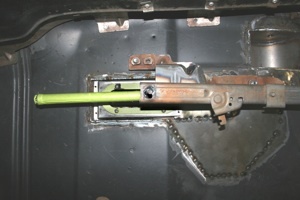 From under the car you can see the tray installed and the cable retainers sticking out the back. 17. 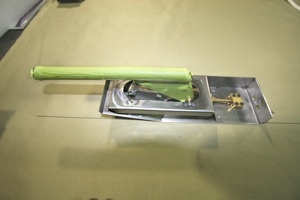 We also built a cover for the bottom of the tray to keep the mechanism clean and allow access for adjustments. 18. 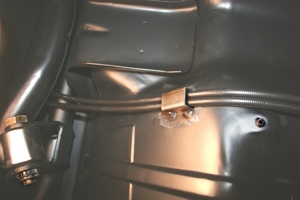 We also made some simple channels to hold the cable in place up against the floor. 19. 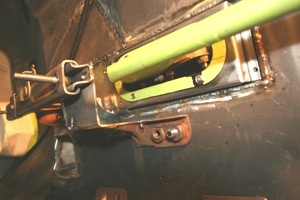 This view shows the brake handle lined up directly under the seat track. 20. 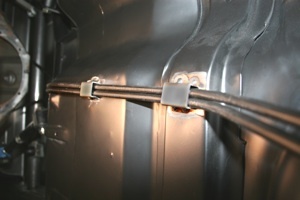 Here are the cables installed between the handle and rear calipers. 21. 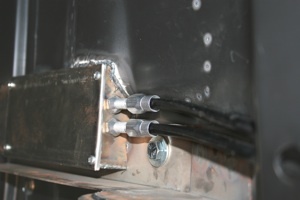 And here are the channel retainers tacked in place. 22. 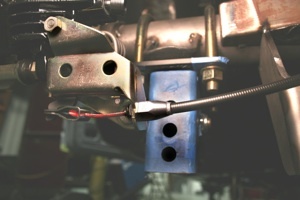 Notice how the cables are guided over the rear suspension. 23. 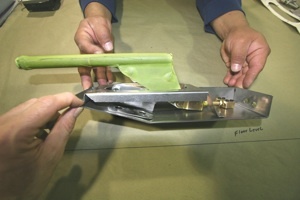 And here is the connection to the calipers. 24. 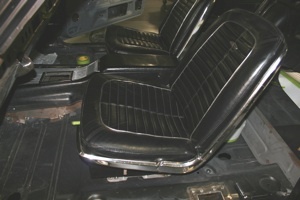 With the bucket seat in the forward "show" position you can barely see the end of the brake handle. 25. But in the driving position it is easy to access. 26. 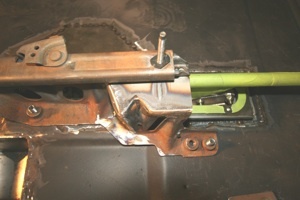 This view shows you the finger clearance in the down position, and plenty of room to pull it up. 27. 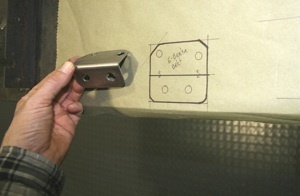 The handle assembly will have a black chrome finish when completed to blend it into the black carpet.